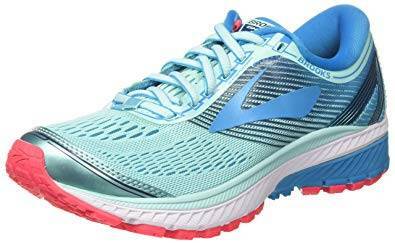 Brooks’ marketing pitch: The Glycerin 15 offers neutral runners the ultimate in softness and supreme comfort. Upper: Spacer mesh, high-density printing and stitched synthetic leather, inner sleeve. Midsole: Dual-density EVA foam midsole. 10 mm heel to toe drop. 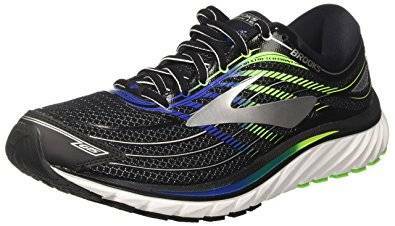 The smooth riding yet supportive Brooks Glycerin 15 is a neutral shoe in the truest sense of the word. Updated for 2017 with a softer ride and a slightly snugger upper. We’ve said this before, and we’ll repeat this – the and the Ghost are two shoes which are more ‘neutral’ than all other neutral running shoes. What does this statement even mean? 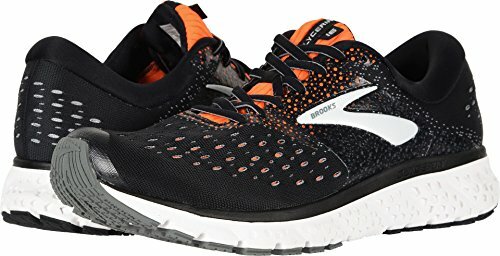 We define a neutral running shoe as one which has a balanced ride quality; a shoe without the outwardly leaning character which is often present in stability shoes and even certain neutral shoes. The strong neutral character has been a part of the Glycerin and Ghost for many years now. 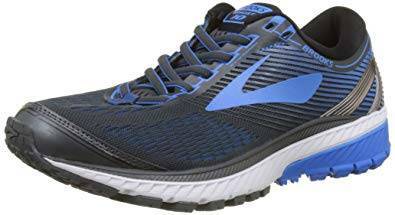 Brooks might have replaced the DNA Gel midsole with an all-foam one in 2014, but that did not alter the fundamentals of the Glycerin-Ghost pairing. Both these models have been historically supportive with a smooth ride quality, and the latest Glycerin 15 carries forward those qualities. For those new to Brooks, the Glycerin 15 happens to be Brooks’s premium (and highest priced) neutral trainer. The 15 suffix denotes that the model is in its fifteenth year, which is also a sign of the latter’s popularity with runners. The Ghost 10 is a lower priced alternative with a firmer ride and downsized trim package. And what’s new on the Glycerin 15? The midsole has a slightly softer ride, courtesy of the change in foam density and an updated outsole. The upper is visually cleaner yet slightly narrower in the forefoot, the result of increased heel padding which pushes the foot forward. What’s not changed is how plush the Glycerin 15 feels, thanks to the best-in-class material package. The upper looks and feels premium, and that is matched by a smooth and cushioned ride which isn’t mushy. In our opinion, the Glycerin 15 is an improvement over the 14. The Glycerin 15 has a visually and functionally beautiful upper, with no signs of penny-pinching we’ve seen elsewhere of late. All the materials feel plush in look and feel, and worthy of the shoe’s $150 MSRP. The upper is made of a single mesh component which is soft and slightly stretchy. Unlike many other models nowadays, the Glycerin does not use an engineered mesh – a design which has a combination of open and close knitted areas. Instead, the entire mesh exterior is consistent, and that’s not without a good reason. Brooks uses a network of high-density printed overlays on the upper, and a closed mesh design is better suited for this treatment. Brooks calls this ‘3D stretch print,’ which is exactly what it means. These high-density printed overlays match the light elasticity of the mesh they are printed on, allowing both components to work together when the shoe is in motion. There are a couple of stitched-on components, one which acts as the toe-bumper and another which runs vertically up the heel center. But the midfoot no longer features the thick synthetic panel which graced the uppers of the Glycerin 12, 13, and 14. There’s even a reduction in the coverage of the 3D stretch print layers. As a result, the Glycerin 15’s upper is visually sleeker and also better conforming from a fit standpoint. The laces are the soft round variety we’ve come to love, and the tongue is quilted generously with foam and has a soft hand feel. What’s interesting is that the Glycerin 15 uses a ‘tongue-tied’ loop, an exclusive Brooks feature which is meant to prevent tongue slide. This wasn’t needed on the Glycerin 14 as there was an inner sleeve, and as it turns, neither does the G-15 need it. The Glycerin 15 does have an internal sleeve, so this lacing loop is just another precautionary (yet gratuitous) measure. The tongue flap is softer than the Glycerin 14 and somewhat reminiscent of the Glycerin 13. The flap uses the soft fabric from the heel; the latter is plump with foam and is extremely plush. There’s a marked increase in heel padding, an update which pushes the foot forward inside the shoe and affects the upper fit. 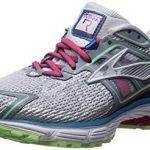 Though there is an internal heel counter like all the past Glycerin versions, the synthetic piece stitched on the outside is smaller than before. There’s more soft mesh near the top, and when combined with a higher level of foam padding, the Achilles dip tends to lean more inwards when compared to the G-14. Based on outward appearances, the Glycerin 15’s 10 mm drop midsole looks similar to the ones before it. But as it so happens, it’s the hidden changes which make all the difference. We noticed that the upper layer of the dual-density midsole appears to be a separate rearfoot layer instead of being just a rim, like how it was on the Glycerin 12-14. Although, we can’t be sure if this treatment extends throughout the length of the midsole unless we dissect the Glycerin. This top layer also has a softer density than the rims on the earlier Glycerins. Needless to say, this update makes the Glycerin 15 softer than before. The primary midsole is made of Brooks SuperDNA midsole, an EVA foam blend which the brand uses on the Glycerin and the Transcend. This foam is slightly softer and smoother riding than the regular DNA foam used on lower priced models. Beginning with the Glycerin 12, the midsole sidewalls acquired an inwards sloping profile. The previous generation midsoles had a wide base at the top, and then sloped downwards; this resulted in a slim and rounded outsole profile. The Glycerin 15’s midsole loses most of that curve. This also leads to an expected outcome – the outsole becomes wider as it lines up with the broader midsole profile. This is particularly noticeable under the rear and midfoot, where the previous generation Glycerins had a rounded profile. This update helps improve the Glycerin’s road manners. The widening of the outsole isn’t the only change at the bottom. The rubber pieces are now laid out in a brand new geometry, thus influencing the ride behavior. The heel bevel (meant for gradual landings) is similar to the past Glycerins, and so is the groove forming the heel crash pad. Under the heel, the outsole pieces are flatter and wider with small lugs. There’s also a much longer transition groove separating the outsole pieces, exposing a larger area of foam underneath. Rubber usage is noticeably reduced throughout, and the Glycerin 15 goes even a step further – part of the SuperDNA midsole extends all the way downwards and forms a part of the outsole. The forefoot layout also gets a bunch of updates. The forefoot flex grooves are wider, and the inner/medial outsole blocks most of the flex grooves with solid rubber. This is meant to allow quicker roll-offs, and also improve durability by a small margin. While the wider grooves improve the Glycerin 15’s flexibility, they have an undesirable effect on durability. We’ll cover this next in the durability section. The grip quality is excellent, a continuing hallmark of Brooks running shoes. The soft blown rubber used under the forefoot provides great traction, and the harder rubber under the rear perform equally well. Inside the upper are two components you’re already acquainted with – the smooth, compression molded BioMogo foam insole with a plush cloth covering, and the foam lasting below it. 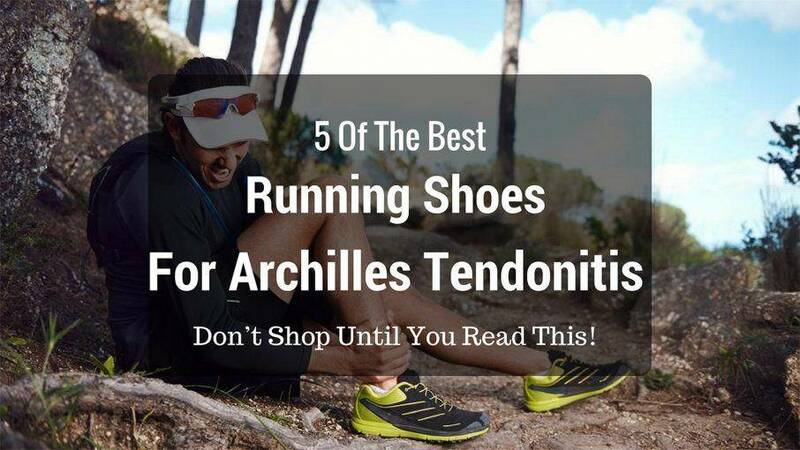 Together, these deliver soft cushioning just underneath your foot. This is the same insole used on the Glycerin 12, 13, and 14 too. There’s a trade-off for the newly acquired forefoot flexibility. The wider flex grooves on the Glycerin 15 tends to increase wear and tear on the edges of the outsole rubber strips. The Glycerin 14 fared better in this regard, as the flex grooves were higher in count and closely spaced. Regardless of the updated flex grooves, Brooks shoes were never known for their outsole durability. 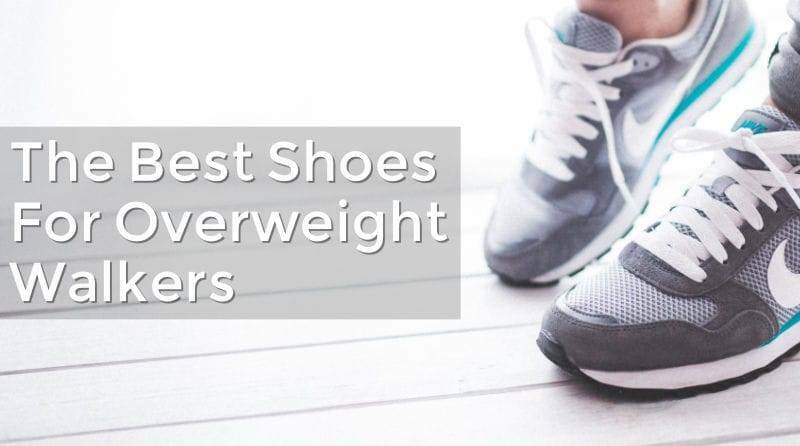 Their shoes use a softer kind of rubber which grips very well but are quick to shred. 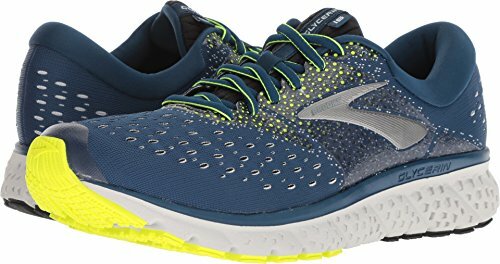 It won’t be far fetched to say that Brooks’ outsoles are the least durable in the premium running shoe segment. Brooks has nothing on the adidas Continental or even Nike in the matters of rubber longevity. A median of 300 miles is what you should get with the Glycerin; 400+ miles if you’re a light runner using the shoe in colder climates. On the bright side, the upper is extremely well put together, so expect no durability issues. The interiors of the Glycerin 15 feels as plush as it looks from the outside. The combination of a super luxurious heel lining, an inner sleeve, and a slightly stretchable mesh ensures both functional fit and interior comfort. There’s more padding around the heel over the G-14, so the heel provides a secure grip. Around the midfoot, the inner sleeve keeps the tongue in one place, and the generous quilting is effective in filtering the lacing pressure. The round laces are made of a semi-stretch yarn structure, so they feel great to cinch. The upper breathes fairly well and is a definite improvement over the last few Glycerins. This is because the mesh has fewer overlays, which includes the omission of the large midfoot panel stitched over the earlier versions. In the front, the toe-box is wide with ample room above the toes. Most running shoes with a stitched-on toe bumper have this fit characteristic, and the Glycerin 15 is no different. The forefoot, however, is a mite narrower than before. While the new heel design offers an excellent grip and plush wrap, the additional material pushes the foot forward. This makes the Glycerin 15’s forefoot feel a bit snugger than the 14, but far from being uncomfortable. The mesh and the printing over it has an accommodating nature, so the upper doesn’t hem the foot in. Besides, the Glycerin 15 is available in multiple widths, both on the men’s (B, 2E) and women’s (2A, D) versions. And does one need to buy a half size up on the Glycerin 15? Since we’re talking purely in relative terms, the sizing situation depends on how you purchased the Glycerin 14. If you had a thumb’s width of space in the front of your toes (on the Glycerin 14), then you should be ok with sticking to the same size on the 15. But if you were already cutting it close with the Glycerin 14’s size, then you should get a half size up on the 15. This should apply to some Glycerin 14 users who bought the shoe for walking or casual use and did not leave as much toe-box margin as a runner would. Barring these small updates, the Glycerin 15 has a great fit. All sections of the upper hold the foot securely while offering a very comfortable interior environment. 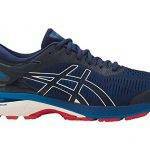 This is also a running shoe which requires no break-in period – an area where the 15 outperforms the 14. The removal of the midfoot saddle makes the upper softer and more pliable, both on the sides and over the lacing area. The overall ride quality is similar to the past few Glycerin models. There’s a smoothness which is due to the uniform use of SuperDNA foam from heel to toe and a full-contact outsole. Glycerins have never been a super soft or mushy shoe, and that is consistent on the G-15 as well. Most of the softness you feel comes from the plush removable insole just under the foot. The compression molded Biomogo insole is generously cushioned, and the cloth over it feels premium. 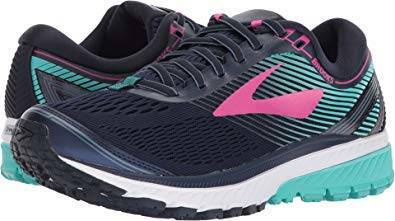 While the Glycerin 15 continues to maintain the supportive ride quality of the series, the midsole is slightly softer than the last three editions. One of the reasons is a softer top layer of midsole. Unlike the past models where this layer was merely a rim around the midsole edges, the G-15 uses a separate layer of foam over the main SuperDNA midsole – at least under the heel area. This adds an element of softness previously not present. The second reason is the changed outsole design which introduces a much wider and longer groove under the heel. More foam is exposed on the outsole, making the ride softer on impact and weight loading. That said, the ride isn’t mushy at all. You get the best-in-class support and efficient transition quality one expects of the Glycerin. As we pointed out before, the combination of the balanced midsole design and solid foam makes the Glycerin very stable with no outwards lean. Being responsive or bouncy isn’t the Glycerin’s forte. It never was, even in the days when the midsole featured a full-length DNA Gel insert. There’s mild responsiveness under the heel, but that’s more on account of the midsole groove splaying rather than the material itself. The Glycerin 15 lacks the heightened cushioning properties of the adidas Boost or the snapback of Nike Zoom. 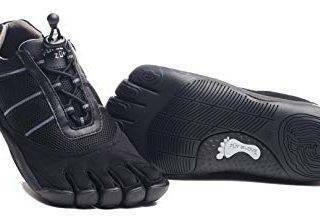 Instead, the ride is reminiscent of traditional trainers which deliver a consistent kind of foam cushioning minus the theatrics. 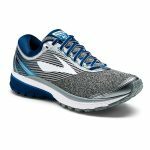 The same cushioning consistency also makes the Brooks Glycerin the smoothest riding running shoe in its category. There’s enough padding for daily runs and long distance runs such as marathons. The Glycerin doesn’t feel fast, but its optimal midsole foam softness won’t bog you down either. 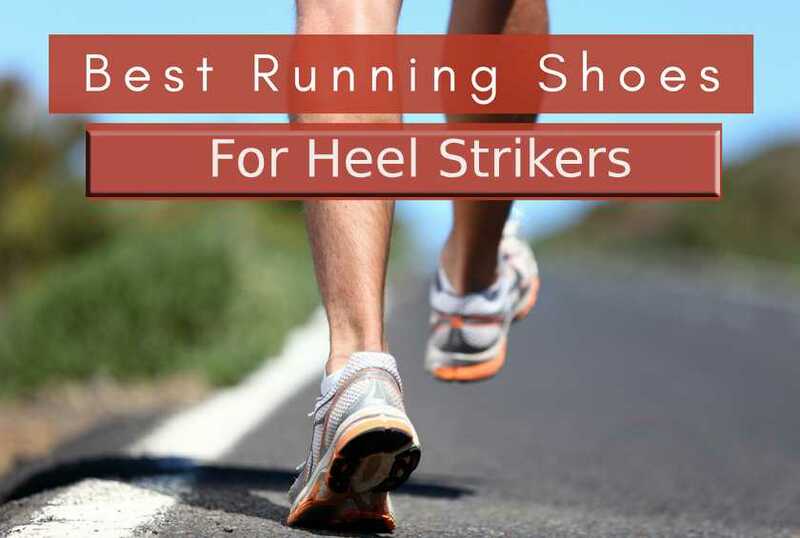 It’s a versatile running shoe which performs well in most situations. Regardless of its 10 mm heel to toe drop, the Glycerin works equally well for rearfoot and forefoot strikers. The front has a decent foam stack topped with a chunky insole, and the blown rubber outsole provides a padded feel at the point of contact. And given its non-mushy character, there isn’t a lot of (perceived) difference between the stated 10 mm drop and the actual (dynamic) offset. The Brooks Glycerin 15 has a long list of positives. It has a lot going for it, be it the plush material package, a conforming upper fit, or the smooth and supportive ride character. The G-15 is a versatile neutral shoe in the true sense of the word, delivering a plush running experience which is deserving of the high price tag. The otherwise excellent Glycerin isn’t without its shortcomings. The outsole durability is worst in class, and the SuperDNA midsole, while smooth, doesn’t deliver the engaging ride experience of other shoes featuring tech like Everun or Zoom. Owing to the increased heel padding, the sizing is inconsistent over the Glycerin 14. This might cause grief for a small group of runners who’ll find the G-15 slightly shorter than the 14 in stick length. The G-15’s overall fit and ride character have a lot in common with the 14, but there are a few exceptions worth noting. The ride is softer due to the new midsole design with a softer upper layer and a larger area of exposed foam under the heel. Much of the G-14’s layering has been eliminated. The amount of 3D Stretch print overlays have been reduced, and the midfoot saddle is gone too. This not only makes the G-15’s upper aesthetically sleeker, but softer and more breathable too. The forefoot fit becomes a bit narrower and the sizing turns shorter by a small margin; this is the by-product of a plusher heel padding. The G-15 performs slightly better on midfoot stability and forefoot transitions. The inwards sloping of the Glycerin 14’s midsole has been toned down on the 15, and this leads to a wider outsole footprint in the midsection. Updates made to the outsole flex grooves make the 15 easier to bend than the 14. While the Glycerin 15 feels lighter, it weighs the same as the 14. There’s no change in MSRP, which stays at a pricey $150. The Ghost 10 is the direct price downgrade from the Glycerin 15. Though it shares a few traits with the more expensive model – such as the fit quality and the supportive ride – it’s easy to see why it is priced $30 lower. The Ghost features a firmer BioMogo DNA foam midsole instead of the G-15’s SuperDNA, and the tongue does not have an inner sleeve. The mesh is an engineered kind with larger vents, as opposed to the softer and semi-elastic material of the Glycerin. Relatively speaking, the Ghost is more supportive than the G-15. The Ghost’s midsole is firmer and delivers a greater level of under-arch support due to the higher midsole flare. 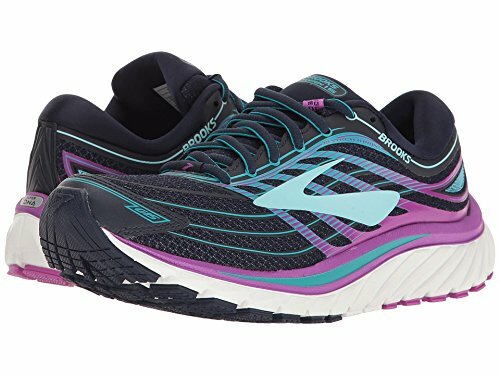 The cheaper Brooks shoe also features a 12mm heel drop, which is 2 mm higher than the G-15. Compared to the Ghost and the Glycerin, the Launch 4 comes across as utilitarian – which is precisely what it is. A single density midsole provides a much firmer ride, and the no-frills yet comfortable upper is sold only in a single width. Buying both the Glycerin and Ghost is overkill. Instead, adding the firmer and lighter Launch 4 makes more sense. Using this rotation approach, you get a plush cushioned running shoe in the form of the G-15, and a firmer Launch 4 for speedier training runs. For race day use and track workouts, the Brooks Hyperion works very well. And just in case you feel there’s too much of Brooks-ness for you to handle, get the excellent New Balance 1400V5. The Nike Zoom Elite 9 isn’t a direct Launch 4 replacement but still adds ample rotational value. The Elite is a firm shoe with a snappy forefoot, and these qualities make it an excellent choice for fast runs. There are six premium cushioned trainers on the list, but we couldn’t help but notice how different all these are. For example, the adidas Supernova has a softer and bouncy ride inherent to a full-length Boost midsole. The Asics Nimbus 19 is a now-turned-firmer Nimbus with a comfortable upper, and the Nike Vomero 12 relies on its Zoom Air bag inserts to produce a snappy and cushioned ride. The Saucony Triumph ISO 3 is a mix of the old and new, as the midsole blends regular EVA with an Everun e-TPU foam insert. On the other hand, the New Balance 1080 V7 feels ordinary for its price. The Fresh Foam platform struggles to keep up with others in the ride department, no matter how well fitting its upper is. Lastly, the slightly cheaper Ghost 10 has a lot in common with the Glycerin, and that’s why it features here. The Brooks Glycerin 15 has the plushest upper by far and the most supportive neutral (not counting the Ghost) on the list. Brooks might not have the magical properties of the Boost or Zoom, but the ride is smoothest by far, bar none.